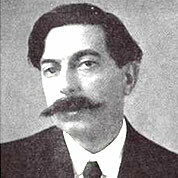 Enrique Granados was a Spanish–Catalan pianist and composer of classical music. His music is in a uniquely Spanish style and, as such, representative of musical nationalism. Enrique Granados was also a talented painter in the style of Francisco Goya.